Spiegel said that by “opening” the Snapchat camera, the company can create “a computing experience that combines the superpowers of technology with the best of humanity,” including “friendship, compassion, creativity, generosity and love.” His speech, which came off like a particularly over-the-top Aaron Sorkin monologue, was intended to convey a simple message: the importance of partnerships for Snapchat’s success. Spiegel’s words were followed by a slew of announcements that, if all goes according to his plan, could help Snap grow and make more money — which, in turn, would appease investors. While Snap has increased its earnings year over year since becoming a publicly traded company in 2017, its user numbers have mostly remained flat at 186 million daily uniques since 2018. That’s a lot less than social media rival Instagram, which has 1 billion monthly active users. Twitter, for its part, has a daily user base of 126 million. There’s a lot of room to make up if Snapchat wants to catch Instagram, but Spiegel is adamant that what the company needs to do is focus on itself, not on what its competitors are doing. By introducing a gaming platform, bringing Stories to third-party apps like Tinder and expanding its short-form, vertical-video original series, Snapchat hopes it can lure new people to its app — something it hasn’t done a good job of for the better part of the past two years. And with newcomers like TikTok on the rise, it’s only going to get more challenging for Snapchat to stay relevant. Schwerin said allowing developers to tap into core features like Stories, which drive the more than 3 billion Snaps created every day, can create growth opportunities for Snapchat. With Tinder, the Snap camera doesn’t live inside the dating app, so if you want to share a picture or video with an AR filter or lens, you need a Snapchat account. Meanwhile, Snap Games is launching with six titles, including an original from Snapchat (Bitmoji Party) and a Fortnite-inspired game from Zynga called Tiny Royale. 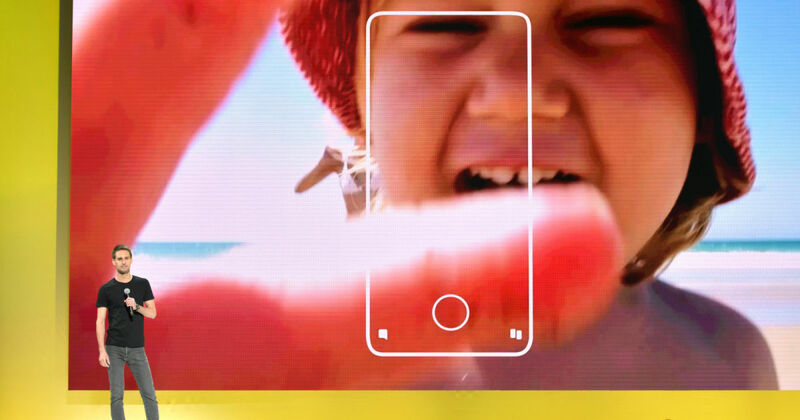 At the Partner Summit, Snap also announced new deals with Netflix, GoFundMe, Fitbit, Giphy and Venmo as part of the company’s effort to open its platform to third-party services, a move that began in 2018 with the launch of Snap Kit.